Since admins first started racking servers, the data center has been mostly all about the hardware. Virtualization represented a major transformation, to be sure. And cloud computing is having profound changes that are still playing themselves out. Even so, hardware remains the focal point. Will the software-defined data center movement upend all that? Maybe. While hardware doesn't disappear, software-defined data center architecture lets software do most of the driving. 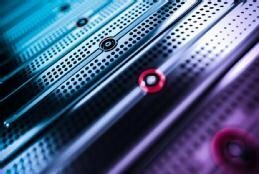 Virtualizing compute, storage and networking so that software can take charge of a data center is a significant shift. Data center observers won't have missed the ongoing conversation about software-defined data center architecture. It's a big idea with big potential -- and that means big hype. Gartner, Forrester Research and others have gone so far as to declare that the future of the data center is software-defined. Smart IT teams have begun to think about that future, even if they are years away from implementation of a next-generation data center architecture. The urgency of that planning will depend on whether technology is at the very center of what an organization does or if those resources merely support the larger mission. That's an important distinction, one that IT instructor Brian Kirsch explores in this handbook's first article. For certain businesses, Kirsch says, the power and agility of software-defined data center architecture will make perfect sense. For others, it might prove a poor fit. A recent Gartner report predicts that by 2020, the programmatic capabilities of a software-defined data center will be considered a requirement for 75% of Global 2000 enterprises that seek to implement a DevOps approach and a hybrid cloud model. So, if that's what the future looks like, it might be time to start imagining how you get your data center from here to there.